Both Cubans and Tibetans looked to 1959 as an opportunity for democratic restoration and liberation. Instead tyranny entrenched itself. The Cuban nightmare began amidst the hope on January 1, 1959 that the departure of Fulgencio Batista into exile would mean a democratic restoration and an end to authoritarian tyranny instead it was the beginning of a new totalitarian communist tyranny headed by Fidel Castro. Tibetan's hoped that a national uprising that erupted in Lhasa on March 10, 1959 would drive the Chinese occupiers out of their homeland. Instead His Holiness the Dalai Lama had to flee to India to avoid imprisonment or assassination as the Chinese communists crushed the uprising. Six decades later we share something in common with the year 1959: a year of dashed hopes. A terrible year, when communism came to our countries, and even worse for Tibet - it is the year Communist China's occupation was consolidated and His Holiness the Dalai Lama went into exile. 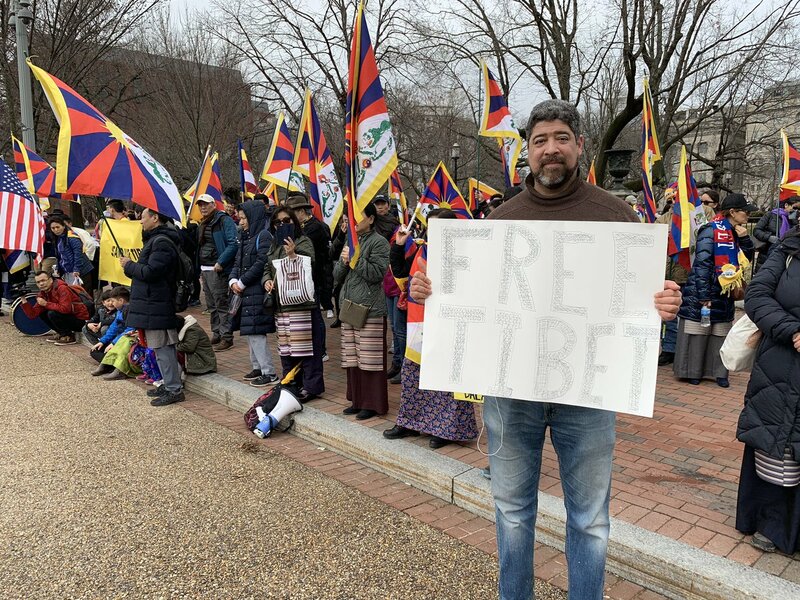 We Free Cubans remain in solidarity with Tibetans and the cause of a Free Tibet. We will stand with you. For China to get out of Tibet and for human rights and liberty to return to Tibet. Where was the outrage when President Obama whitewashed the murder of Americans? There is justifiable outrage today in the media over how President Donald Trump gave a pass to the North Korean dictator for the murder of Otto Warmbier, an American citizen. According to Trump, Kim Jong Un "felt badly about it,” and he continued: “In those prisons and camps, you have a lot of people, and some really bad things happened to Otto.” ... “Some really, really bad things. But [Kim] tells me that he didn’t know about it, and I will take him at his word.” Otto's parents pushed back and the media gave broad coverage to their statement. 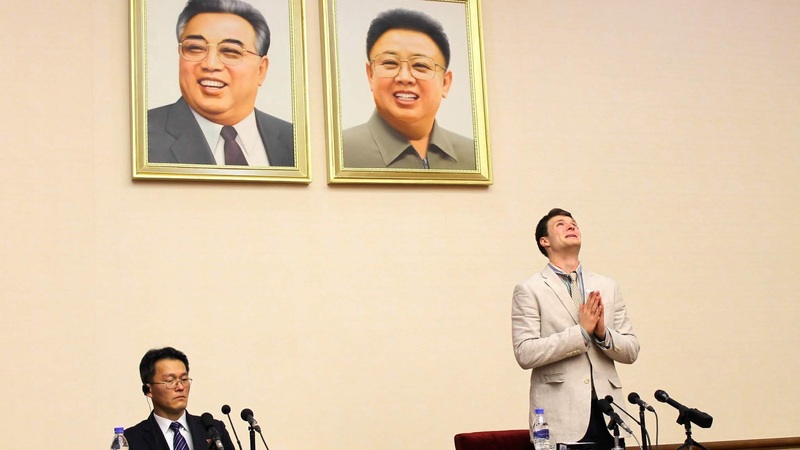 Otto Warmbier was systematically tortured by the North Korean dictatorship, and was released brain damaged, howling in pain and died days later from his injuries. Worse yet he commuted the sentence of the Cuban spy who was serving a double life sentence for murder conspiracy in the Brothers to the Rescue shoot down and espionage who also planned terrorist acts on U.S. soil. 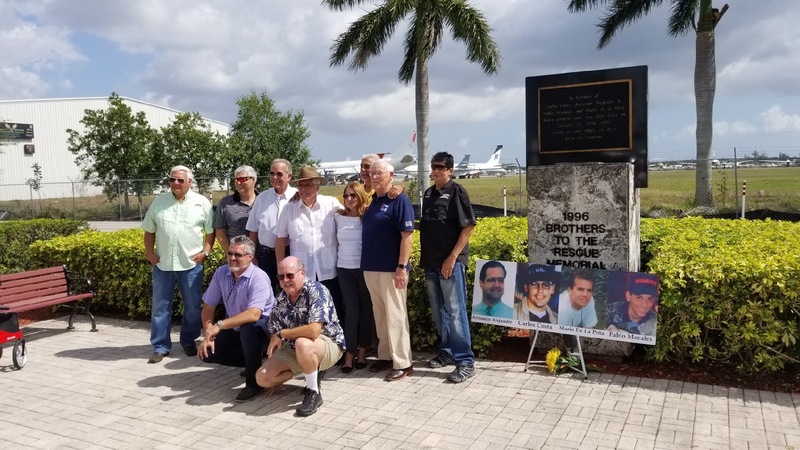 The events surrounding the February 24, 1996 shoot down began weeks in advance with the Cuban dictatorship planning the shoot down and using their spy network to obtain information to advance the conspiracy. It is true that the shoot down was not meant to undermine overtures by the Clinton administration and although it paused the process by the end of 2000 President Clinton had shaken Fidel Castro's hand and a few months later opened cash and carry trade with the dictatorship. 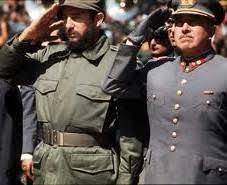 6) Fidel Castro took responsibility for giving the order for the planes to be shot down. Raul Castro was in the chain of command that executed the order. This is the individual President Barack Obama went to a baseball game with in Cuba and did the wave with. Miriam de la Peña made a video where she challenged President Obama to explain why he freed her son's murderer. 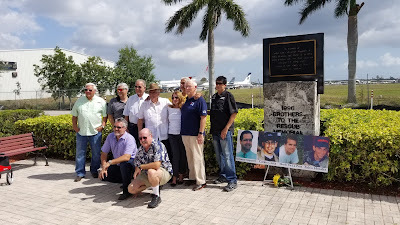 Silent vigils held yesterday in Opa-locka, Washington DC and today in Miami at Florida International University (FIU) with friends and family members of Armando Alejandre, Jr., Carlos Costa, Mario de la Peña, and Pablo Morales, Brothers to the Rescue martyrs, killed on February 24, 1996 and other victims of Castroism. 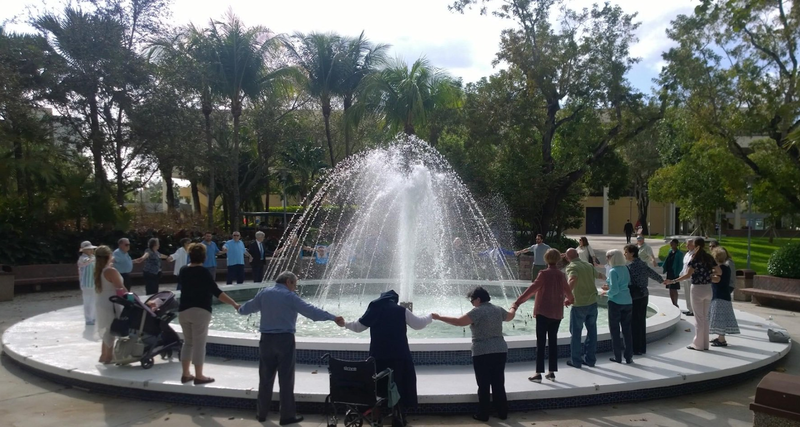 Silent vigil for Brothers to the Rescue in front of the Cuban Embassy in Washington, D.C.
Vigils in Washington D.C. in front of the Cuban Embassy and at FIU started at 3:21pm and concluded at 3:27pm. The times the two planes were shot down by a Cuban MiG. Please send us any pictures or selfies of your own ceremony. Even if it is one person that organized the event. We will share it over our social media platforms. 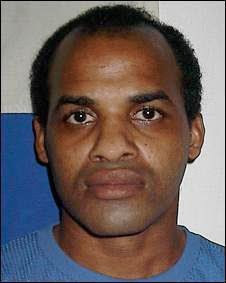 Where were you when Cuban prisoner of conscience Orlando Zapata Tamayo died nine years ago today? Do you even know who Orlando Zapata Tamayo was? Orlando Zapata Tamayo was a Cuban bricklayer and human rights defender who worked with human rights defenders Oscar Elias Biscet, and Oswaldo Payá Sardiñas in separate campaigns respectively to educate Cubans on human rights and to reclaim those rights in the Project Varela petition drive. He was imprisoned in 2003 and continuously beaten and tortured for seven years for continuing his defiance of the dictatorship and defense of human rights behind bars. In late 2009 in order to protest mistreatment he went on hunger strike and prison officials responded by taking his water away in order to break his spirit. Instead they killed him. 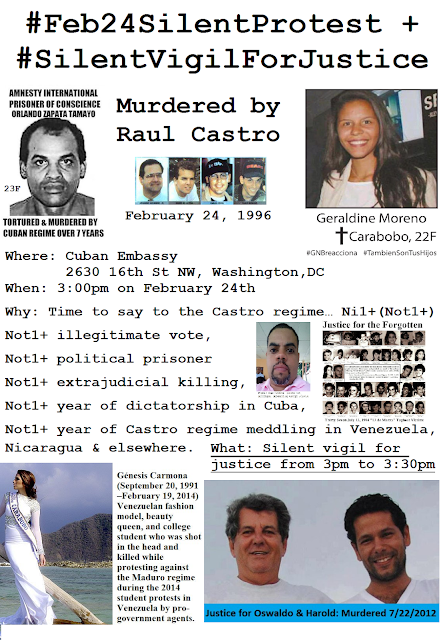 Amnesty International said "Cuban authorities responsible for activist's death on hunger strike." The uproar caused by his death was a key factor in the later release over the course of 2010 and 2011 of the remaining prisoners of conscience imprisoned since 2003. Returning to the original question in abbreviated form: "Where were you the day Orlando Zapata Tamayo died?" The Canadian punk rock band I.H.A.D. asked the question in a song simply titled "Orlando Zapata" and we after requesting their permission produced the video below accompanying their song. Not One more (Not1+) extrajudicial killing, Not1+ political prisoner, Not1+ illegitimate vote, Not1+ year of dictatorship, Not1+ year of Castro regime meddling in Venezuela, Nicaragua, and elsewhere. Not1+ year of Castro regime meddling in Venezuela, Nicaragua & elsewhere. Yes to justice, truth, reconciliation, and free and fair elections. Five years ago in February of 2014 on Venezuela's national youth day the Maduro regime gunned down students peacefully protesting in the streets of Venezuela. The killings have continued to the present day. Nine years ago on February 23, 2010 human rights defender, and Amnesty International prisoner of conscience, Orlando Zapata Tamayo died on hunger strike after years of torture and mistreatment by Castro regime agents. Political prisoners continue to suffer in Cuban prisons today. Let us also take this upcoming Sunday, February 24th at 3:00pm not only to say "No" to the illegitimate referendum in Cuba, but to say "No" to dictatorship, and "No" to the continued impunity in Cuba and Venezuela. 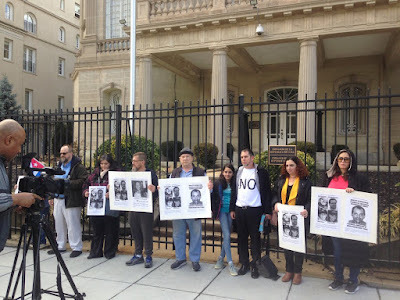 Friends of freedom around the world please join us in calling on the Castro regime to stop meddling and get out of Venezuela, Nicaragua and bring those responsible for gross and systematic human rights abuses in Cuba to justice. Also at the Cuban Embassy in Washington DC there will be a vigil hosted by the Free Cuba Foundation between 3:21pm and 3:27pm the times that two Brothers to the Rescue planes, flying through international airspace searching for rafters, were destroyed by air-to-air missiles fired by Cuban MiGs on Raul Castro's orders. 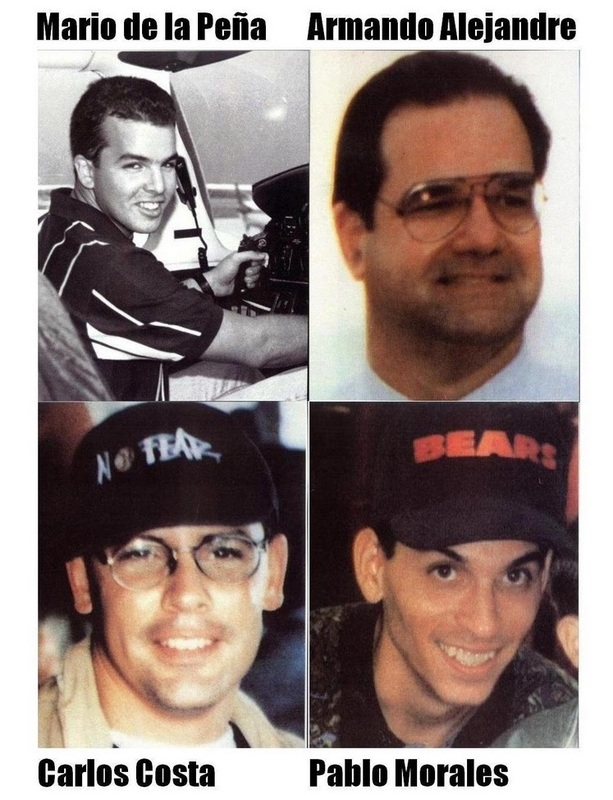 Four individuals were murdered twenty three years ago and their names are Armando Alejandre Jr. (age 45), Carlos Alberto Costa (29), Mario Manuel de la Peña (24), and Pablo Morales (29). 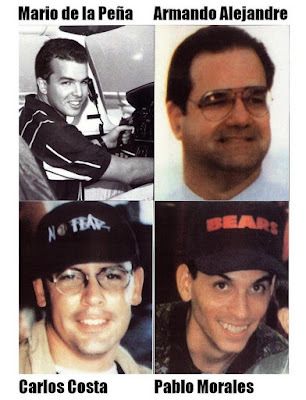 The four men were murdered in an act of state terrorism by the Castro regime on February 24, 1996 while they sought to save Cuban lives. Misrepresenting Elliott Abrams record while remaining silent on the role of the Castros' in genocide in Africa and Latin America. Today the news was focused on Elliott Abrams and the Reagan Administration's policy of promoting democracy (in El Salvador) and backing anti-communist regimes in Central America. Nor was any mention made today of the role Elliott Abrams played in easing General Augusto Pinochet out of power in Chile. It is also important to recall that "University of Hawaii historian R. J. Rummel, who made a career out of studying what he termed “democide,” the killing of people by their own government, reported in 1987 that credible estimates of the Castro regime’s death toll at the time ran from 35,000 to 141,000, with a median of 73,000." 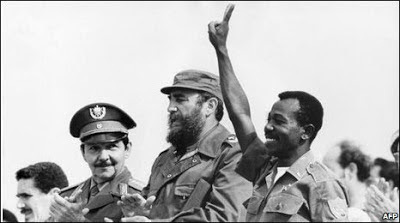 Also missing from the conversation was that this was at a time when the Soviet Union and Cuba had been backing communist insurgencies to overthrow governments across the region, or that Fidel Castro has a far higher body count to account for, not only in the Americas but also Africa. The conversation today at the Congressional hearing was supposed to be about Venezuela. According to Amnesty International there have been more than 8,200 extrajudicial executions between 2015 and June 2017 in Venezuela. Wonder what the full tally is during the 20 years of the Chavez-Maduro regime? But the record of extrajudicial killings goes back to the early 1960s. Fidel Castro, beginning in 1959, had strategic designs on taking over Venezuela to exploit its natural resources in order to magnify its regional impact. A cache of three tons of weapons was found on a Venezuelan beach in November 1963 that was to be used to disrupt the democratic elections there. The Castro regime repeatedly tried to violently overthrow the social democratic government in Venezuela. 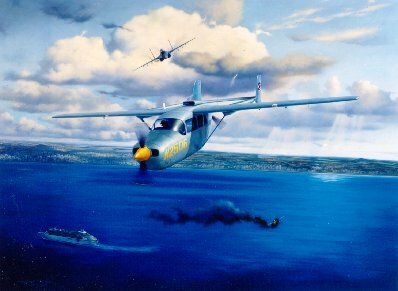 On May 8, 1967 "two small boats carrying a dozen heavily armed fighters made landfall near Machurucuto, a tiny fishing village 100 miles east of the Venezuelan capital, Caracas. Their plan was to march inland and recruit Venezuelan peasants to the cause of socialist revolution." An all night gun battle with the Venezuelan military led to nine guerrillas dead, two captured, and one who had escaped. What the Cubans were not able to do in Venezuela with force of arms they were able to accomplish through subversion via the ballot box first with Hugo Chavez in 1999 and later with his successor Nicolas Maduro. Tens of thousands of Cuban intelligence officers and soldiers are in Venezuela and have played a role in the political violence and extrajudicial executions there. The communist regime in Cuba was also involved in training and arming insurgencies in Guatemala, El Salvador, Nicaragua, Chile, Brazil, Colombia, Argentina, Uruguay, and many other places. Many of these initiatives directly on the orders of Fidel and Raul Castro. These actions on more than one occasion sparked violent civil wars that claimed tens of thousands of lives. 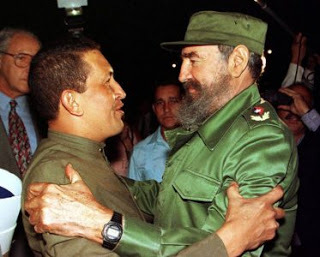 The Castro regime achieved one "success" in Latin America with its myriad of armed interventions: the overthrow of the Somoza regime in Nicaragua and the installation of the Marxist-Leninist Sandinista regime. Robert A. Pastor, of The Carter Center in July 1992 in the report "The Carter Administration and Latin America: A Test of Principle" explained that in Nicaragua "by May 1979, with Cuban President Fidel Castro's help, the three Sandinista factions had united and established a secure and ample arms flow from Cuba through Panama and Costa Rica." The Sandinistas drove out the Somoza regime on July 19, 1979 and would remain a force there to the present day committing extrajudicial killings. Will Congresswoman Ilhan Omar mention the role Cubans played in the civil wars in Latin America? What about Africa? 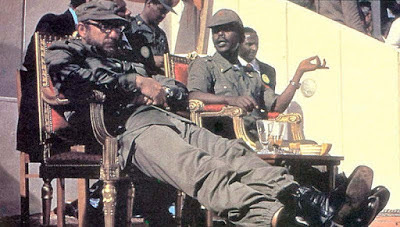 The last Cuban troops did not leave Ethiopia until 1989 and were present and complicit in the engineered famine that took place there. Will Congresswoman Ilhan Omar raise the issue of the genocide aided and abetted by the Castro brothers in Africa? A genocide that killed over a million Ethiopians. If black lives matter then the role two white Cuban dictators played to facilitate genocide in Ethiopia should not be ignored. Hopefully, Congresswoman Ilhan Omar will call a hearing to explore this matter and the role played by the Castro regime both in Africa and Latin America.